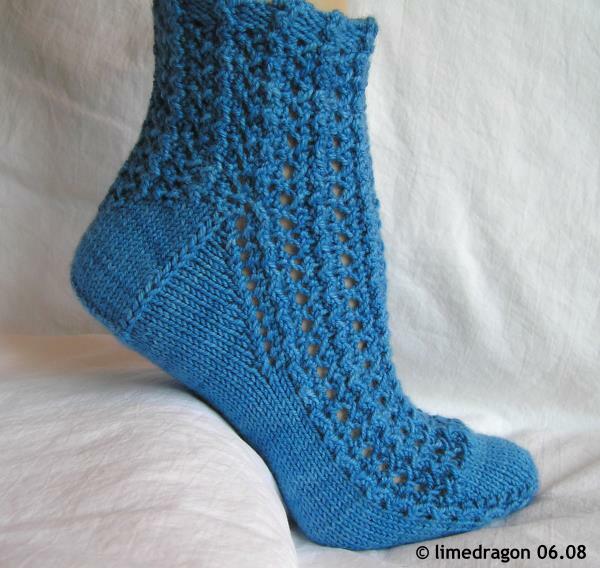 Designed exclusively for Zen Yarn Garden, these socks feature a small, textured, and easily memorized stitch pattern. 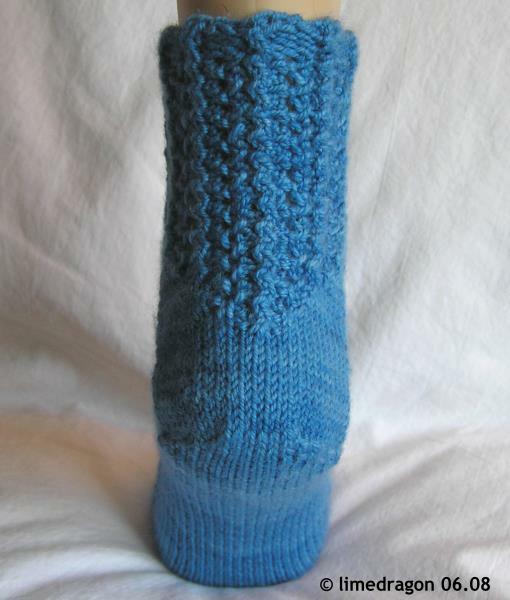 They are worked cuff-down on double-point needles, and three charts are included (with corresponding row-by-row written instructions). Available only in downloadable PDF format from Zen Yarn Garden. 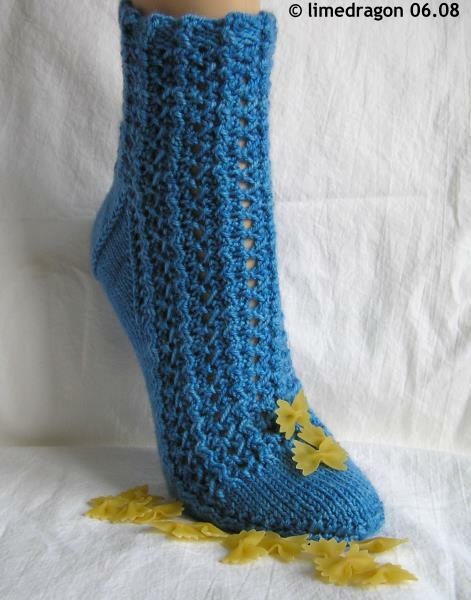 Sized for an adult Women’s Medium (to fit 8″/23 cm), the finished foot circumference is 8″/20 cm. One skein of Zen Yarn Garden Gemilicious Sport is enough for a pair, but more yarn will be needed if you want longer socks. 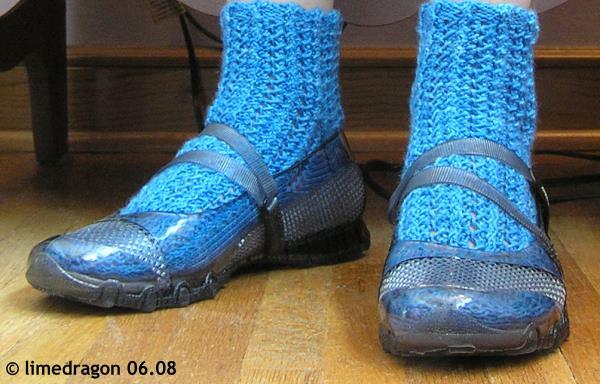 The sample socks were knit in the colorway Misty Blue.